While ordering stuff and trying to make some more space (I'm in a cleaning spree), I grabbed my old Space Hulk box and checked what I actually have inside. It is a 1st edition base game, and I knew I had inside at least the pieces and instructions of Deathwing, Genestealer and the Space Hulk Campaigns book. 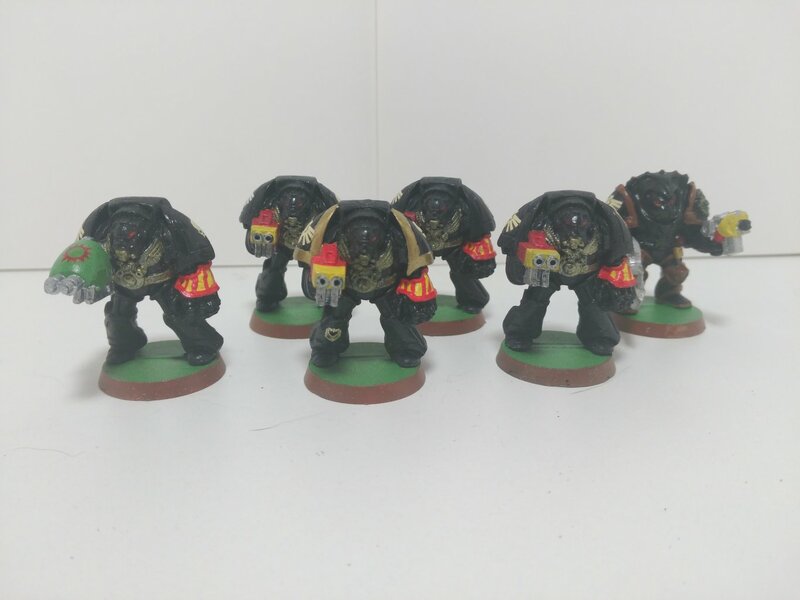 I also knew I had at least some miniatures, as I have more than 50 genestealers in total, and at least two painted plastic Terminator Librarians (as Deathwing, of course). 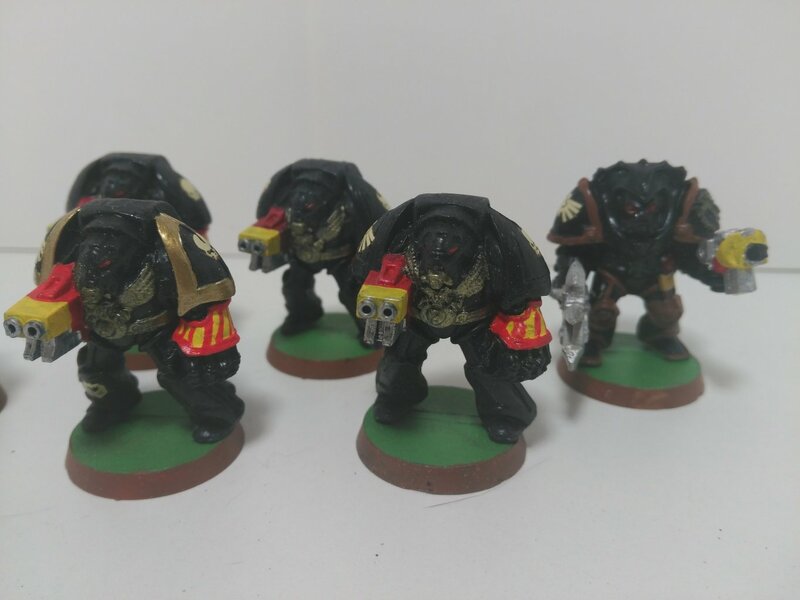 What I didn't knew is that, probably when I was learning how to paint, I painted two full squads of the plastic Terminators of the base game plus their corresponding Librarians too! 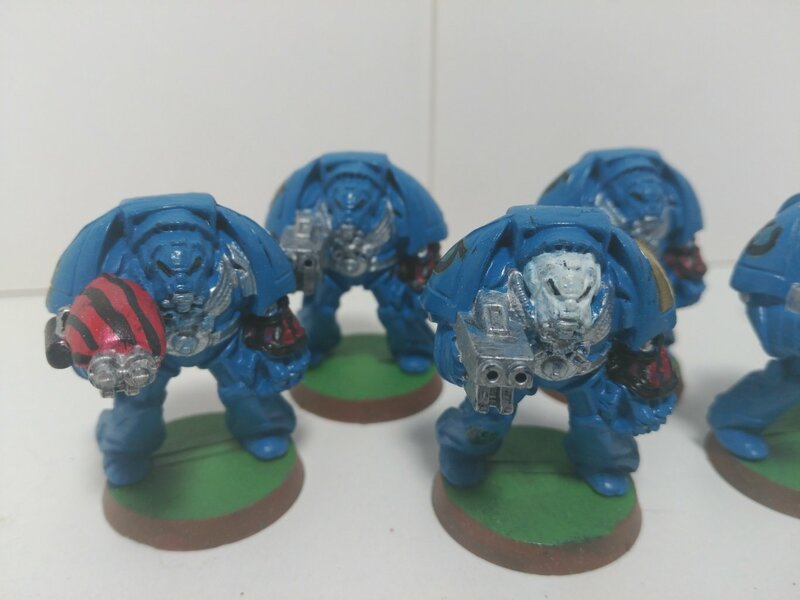 It's so funny to see them, the blocky, rounded miniatures, painted quite terribly, with gloss varnish and even with the bases "wrong" for Space Hulk (but as green & brown was the official GW bases color back in the day...). 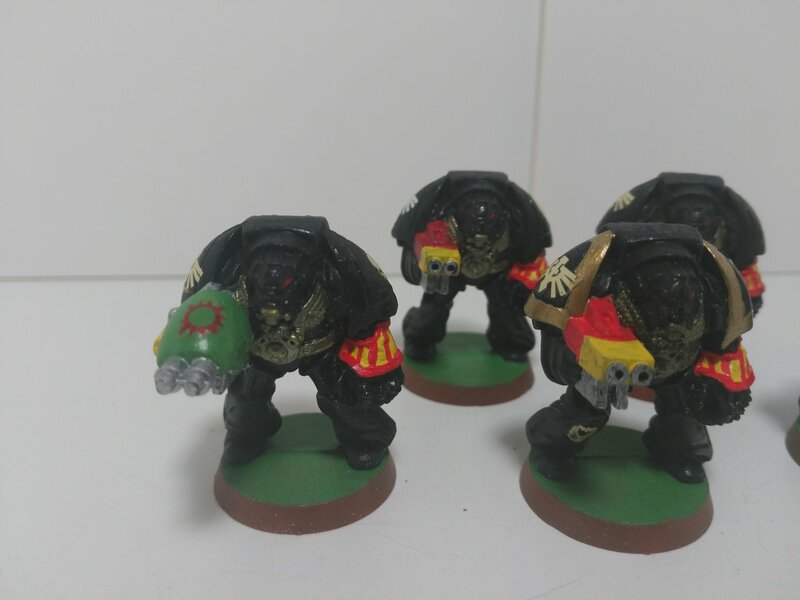 Here's the Dark Angels squad, with the old black color schema and also old transfers applied. 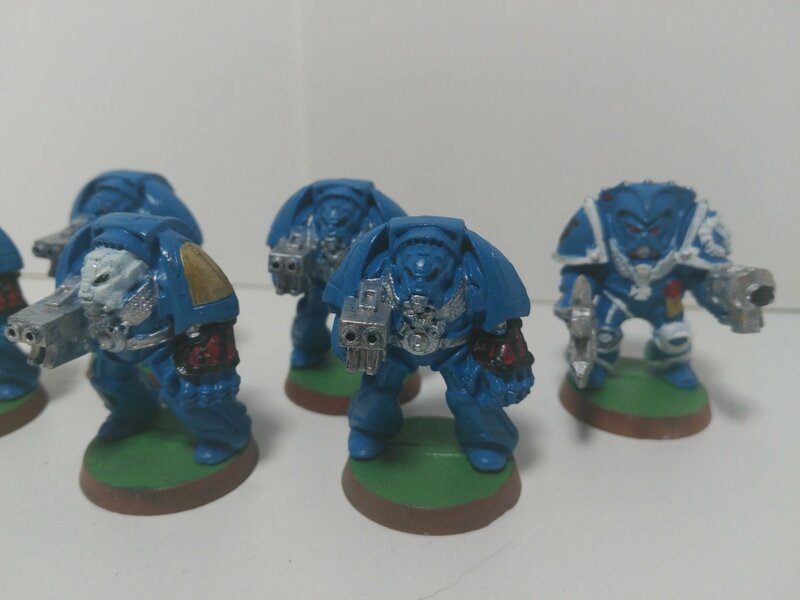 And here's an Ultramarines squad, with black chapter symbol transfers, which look terrible indeed. I'm not much of a fan of repainting miniatures, so I'll probably leave them as they are. I kind of like to see my beginnings. 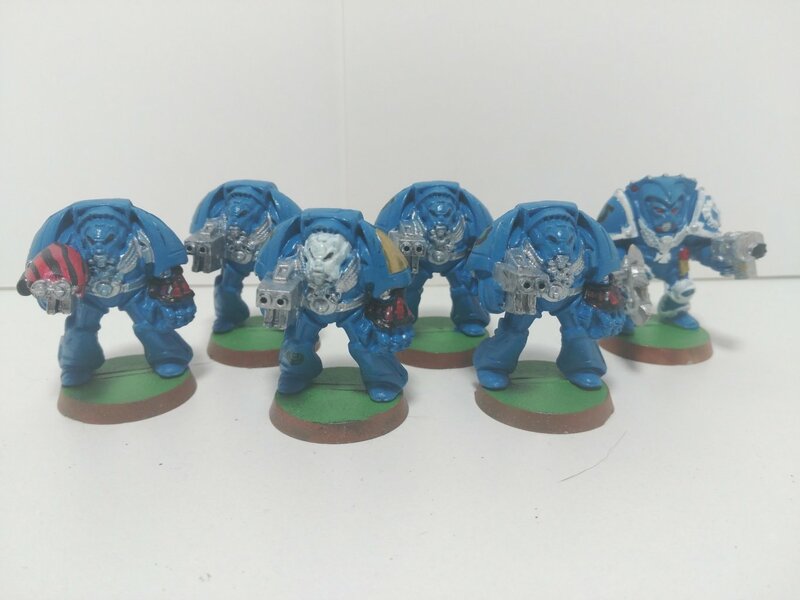 Also, after all I have around half a company of Deathwing Terminators awaiting to be painted so there's plenty of units for future games (If I play Space Hulk again, that is). 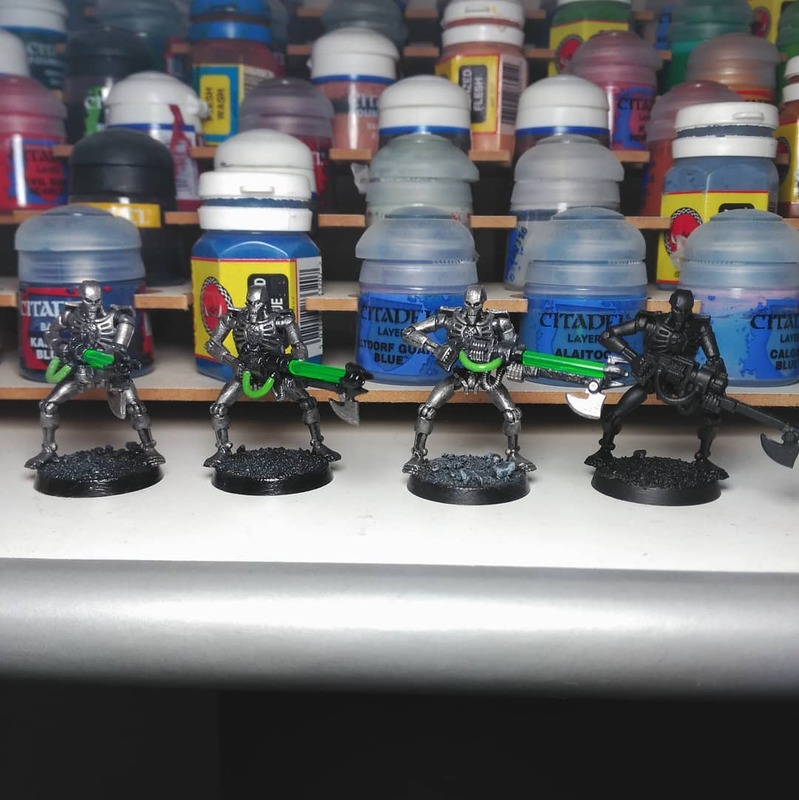 Apart from this findings, I haven't done much, just base-coated a few Necrons and painted two of them. I sold a few but keep more than enough to make for a nice army, and as they are one of the easiest miniatures to paint I should keep working on them. My Contemptor Dreadnought had also some highlights layer and now I'm painting the metal but I'll wait until it's more complete to take any picture. So the painting progress has been slow, but at least there's movement. Summer also means escaping from the city which means more reading and less painting.